Paul Graham is a successful programmer/entrepreneur who then became an engaging writer, and later grew into one of the most influential positions in the startup culture as the driving force behind the YCombinator seed capital fund, as well as the popular Hacker News community. 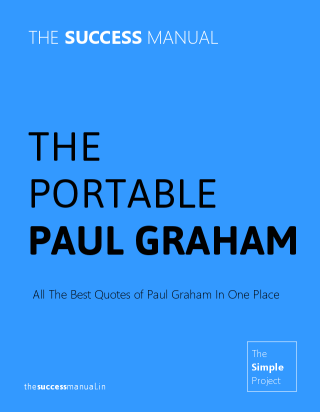 This small collection contains summaries of some of the most useful online articles written by Paul Graham over the years. Entrepreneurs and coders will especially like this collection of insightful advice from 'someone just like them. Enjoy. We will never spam you. We will never share your data. Ever.